Swift is an object-oriented programming language for iOS and OS X development which has been recently introduced by Apple at its WWDC 2014. It is intended to coexist with Objective-C, the current programming language for Apple operating systems. However, Swift is designed to be more resilient against erroneous code. Swift adopts safe programming patterns and adds modern features to make programming easier, more flexible and more fun. Swift's clean slate, backed by the mature and much-loved Cocoa and Cocoa Touch frameworks, is an opportunity to reimagine how software development works. On June 2, 2014, the WWDC conference app became the first publicly released Swift app. 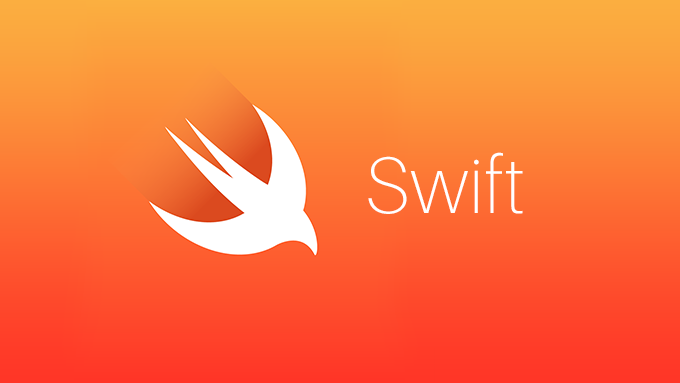 Swift is a high-performance programming language which provides iOS development with awesome features. Swift 3 is a major release developed in open at Swift.org, a bug tracker, mailing lists, and regular development builds available for everyone. It already supports all Apple platforms as well as Linux, community members being working on actively porting to even more platforms. Swift pairs increased type safety with type inference, restricts direct access to pointers and automatically manages memory - making it easy to create secure, stable software. Swift includes optionals, generics, tuples and other modern language features. Inspired by and improving upon Objective-C, Swift code feels natural to read and write. Developers take the advantage of powerful pattern matching Swift to write simple but expressive code. They can use different frameworks like Foundation and UIKit directly from Swift. While programming in Swift, the playgrounds are used to experiment with new technologies, analyze problems and prototype user interfaces. It is built with the LLVM compiler. It applies advanced code analysis to tune your code for performance, letting you focus on writing great apps instead of implementing complex optimizations. Sign up for our newsletter to get fresh content and updates delivered to you. At BrainCake, we’re a focused and dedicated team of creative individuals that will work directly with you and will guide through the entire mobile app development process. Looking to build your next mobile app? We are here to help you choose the right features and design to make it successful.